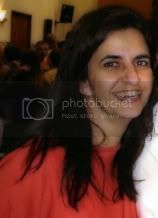 Muito obrigada por todos os comentários deixados no meu blog e também no 4 shared . Agradeço as orações , graças a Deus minha mãe saiu da UTI , agora está se recuperando no quarto . Vamos ao kit .... Adoro flores ... mas quem não gosta ? 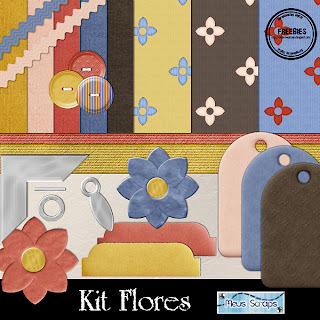 Pensando nisso fiz o kit Flores . Todos os papéis e elementos com 300 dpi . Thanks for prayers to my mom . Last Tuesday she left UTI and now she is recovering from respiratory diseases in the hospital room . Let's to the kit ....I love flowers ... but who doesn't like ? Thinking of it I made the Kit Flowers . All the papers and elements with 300 dpi . Carla, Hope your mom's recovery goes well. Thanks so much for the pretty flower freebie!! Amei Carla... parabéns pelo kit e pela recuperação de sua mãe. Nice to meet you! I found your "blog" from an email from ADC Derasta Designs! Falo portugues tambem-minha familia sao dos acores. I have you on my favorite places-I will visit you again. Ate logo! Espero que tua mae esta bem..
Graças a Deus está tudo bem agora né. Vim dizer que tudo está divino, lindo demais. You have some really pretty kits. Thank you for sharing (tfs). The 4Shared link for this one is broken. Just thought you might like to know. Which is why he showed photographs regarding an exposed mass grave to positively underscore most of the point who all of the victims were but not war casualties. One photo showed that skull, its teeth exposed as well as a its eyes covered written by the actual blindfold. Another showed a nice pair within hands bound through a huge strip related to cloth behind a particular body's back once again.